32, Jalan Utara off Jalan Imbi, 55100 Kuala Lumpur. 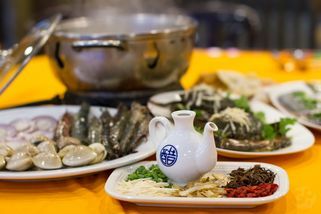 Damansara Village Restaurant in Imbi is renowned for their signature live seafood steamboat, but other popular dishes here are Village Steamed Chicken, Steamed Bamboo Clam, Pork Knuckle with Vinegar, Pepper Pork Tripe Soup, Steamed Duck and Salt Baked Crab. The restaurant prides itself on its use of fresh ingredients, 100 day old organic free range chickens from their own farm, and live seafood. 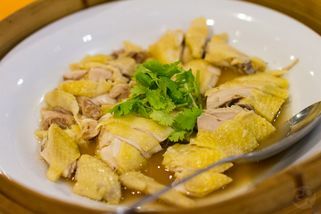 Instead of the more common farmed snakehead fish, those served at Damansara Village are caught in the wild. Rough-cut wood fences combined with lots of trees and plants create a rustic atmosphere, and there is a little pond with fish and tortoises, and a rabbit pen, to keep children entertained. 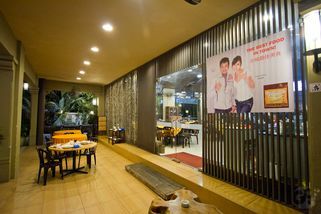 You can choose to dine in the air-conditioned area, or outside in more natural surroundings. 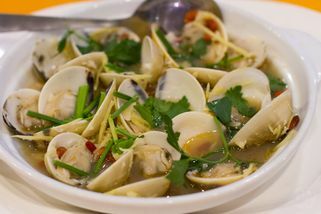 "Damansara Village@Imbi - definitely good food!" Definitely one of the family faves for the last few years. 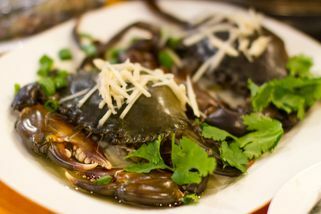 Fresh seafood and very homely taste to the food - think fresh ingredients, no MSG and fussy tastebuds. 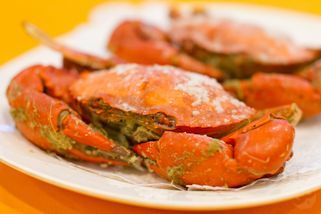 The pork trotter in vinegar, steam 100 days old chicken and village baked crab is among our regula must haves. I had a lunch there where I was served a live fish and vinegared pork. The meal was good and I would be back whenever I am out of ideas for my neighbourhood. Apparently that place is for steamboats but I am unlikely to do that given another try. This fish tank restaurant belongs to Patrick Teoh (renown for his opinionated voice) so I was not too sure what to expect at first. However the food quality surprised me and I had a good first experience there. 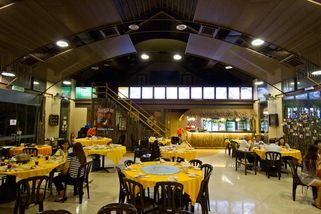 Sometimes they have tour buses of Chinese foreigners as the place accommodates large groups of 10 pax in round tables. Driver drop off is easy and suitable for disabled access. Service is okay.